If you want to know what democratic polices would do to the entire country look no further then the Democrat controlled city of Chicago. Recently, between a period of Friday evening to Monday morning in Chicago 73 people have been injured and 13 have been killed. 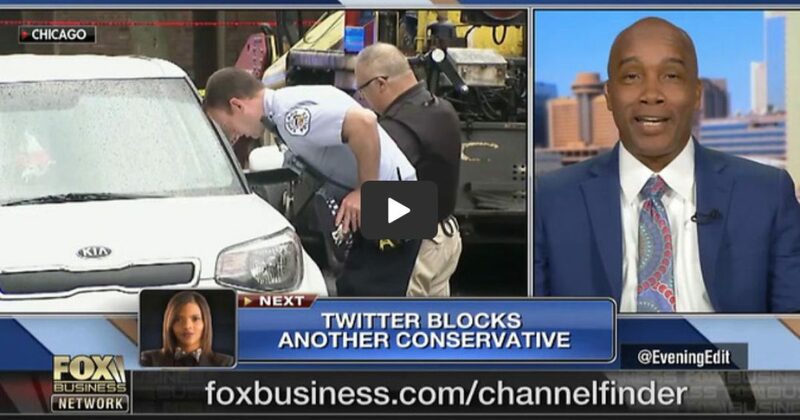 Kevin Jackson appeared on Fox Business to discuss the solutions to Chicago’s violence. While this kind of violence has been going on in this city for decades the question still stands: why? Why hasn’t the leadership, who often touts themselves as being pro-black, done anything to fix the deep-rooted issues causing this violence? What of the black savior Barack insane Obama? Did he do anything for the city he said he values so much? Further, why do the victims and their families continue to vote the same people in when they see their communities continue to suffer? First, it is quite clear new leadership is needed if these cities are to see any kind of turn around. For decades the Democrats have created a type of slave plantation plaguing these majority black cities. What do I mean by this? Well, there are five distinct factors of a slave plantation that can now be found in the “urban plantations” of two dozens democratic controlled inner cities. These features are outlined by Kenneth M. Stampp in The Peculiar Institution: Slavery in the Ante-Bellum South. The same distinctions of slave plantation Democrats implemented during slavery are the same ones the implement now. So, for those that recognize the Democrats were the party of racism in the past but ask where is their racism today, they need look no further then these disturbing features. Chicago’s mayor Rahm Emanuel has received severe critics from the violence that has continued to happen under his watch. The harshest criticism came from two candidates with deep ties to the city’s police department: former police Superintendent Garry McCarthy and former Chicago Police Board President Lori Lightfoot. Additionally, other city activists say the Mayor hasn’t brought enough investment to black and Latino communities on the South and West sides, while Chicago’s downtown and North Side flourishes. And why would he? Because the Democrats aren’t really interested in fixing these issues. If they were they’d focus on reversing their destructive polices of breaking down the homes in these cities, which statistically leads to more violence. As well as bringing in more investments to financially boost these communities with more job opportunities. Hopefully in the future we can get more strong, conservative Republicans to take on this task and show these democratic runs cities what new leadership can do.